Published: Nov. 11, 2018 at 02:44 p.m.
Cleveland Browns quarterback Baker Mayfield finds running back Duke Johnson over middle for 11-yard touchdown. Published: Nov. 4, 2018 at 03:35 p.m. Published: Nov. 4, 2018 at 02:38 p.m. 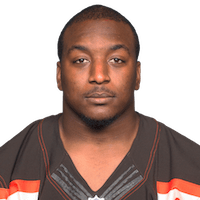 Published: Dec. 31, 2017 at 02:10 p.m.
Cleveland Browns running back Duke Johnson punches in a 2-yard touchdown.